Although the timing and nature of the coup in Mali is surprising, that a coup occurred is not surprising. Mali’s GDP is around $9 billion. 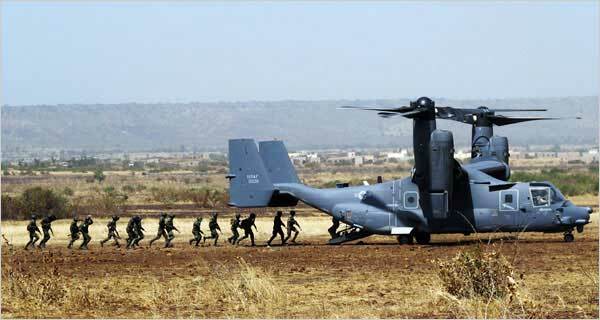 The annual US $167 million in military train and equip investment is a huge sum in relation to Mali’s GDP. The overwhelming emphasis on military training, arms transfers, and military assistance, is an incitement to create military governments wherever it occurs. The message is that the military knows how to run things, and you need the military to get things done. It would require robust and independent civilian institutions to counter that. Few developing countries enjoy that luxury. Mali was in a better position to maintain a civilian democratic government than most. The US may have had no direct involvement in the coup, or there may have been some knowledge, possibly even encouragement from US sources. I would hope that is not true, but there are plenty of unfortunate precedents. And Captain Sanogo has received a lot of US training, including at the coup school at Ft. Benning. The following are more pictures of US train and equip activities in Mali, from 2009-2011. MI Professional Course, Bamako, Mali, March 2011. Recently, U.S. Army Africa (USARAF) intelligence assets extended a helping hand to their African continent counterparts in Bamako, Mali. 18 students from various African nations took part in a Military Intelligence Professional Course (MIPC) recently. The six-week course was conducted in French and English. This six-week course was the first of two such MPICs slated for this year. Mali: The Political Crisis – Taking Grievances Seriously by Brian J. Peterson fleshes out the story of what happened far beyond previous accounts. When the protest movement of Malian women erupted in the town of Kati on January 30, few took notice. The women were mostly “war widows” of Malian soldiers recently killed in fighting against the National Movement for the Liberation of Azawad (MNLA). The women were protesting the lack of government support, in particular the shortage of weapons and food, given to Malian soldiers. And they were enraged to hear reports that their husbands, sons and brothers had been massacred in the most dishonorable way by MNLA forces. As the movement gained steam, the women began marching on Bamako, burning tires along the 12 km road from Kati, and heading for the presidential palace overlooking the city on the “hill of power.” Within days, the movement evolved into a more broad-based march in Bamako, soon spreading to Segou, the country’s second city. Thousands of civilian protesters threw up barricades and burned tires, effectively shutting down the capital as President Amadou Toumani Touré desperately tried to restore order. Government security forces were dispatched with tear gas and blank bullets. As we have seen, this was only the beginning. But it provided the initial spark that eventually triggered the mutiny in Kati, which in turn evolved into the coup overthrowing the President. This has led some to view the coup as “accidental” and “improvised.” But this improvised genesis of the coup still raises questions: to what extent is the junta expressing or reflecting the will of the people in the street? Is there any overlap between the junta’s populist rhetoric and the grievances of ordinary urban and rural Malians? Indeed, in assessing the crisis of Mali’s democracy, the world community must seriously address Malian popular grievances. And the main grievances I have in mind are ones that reach beyond dissatisfaction with the Malian government’s mishandling of the anti-separatist wars in the north. … much has been said about the unintended consequences and spillover of the Libyan wars into the Sahel zone. Arms and mercenaries have flowed into northern Mali in the wake of Qaddafi’s overthrow, fanning the fires of Tuareg discontent. But these once-proud desert warriors have perennially opposed the state, leading to a series of rebellions against the post-colonial Malian government from the 1960s. Even during the pre-colonial and colonial periods, these nomadic groups existed largely outside state-spaces. Thus, a fundamental cause continues to be the unresolved tensions in the north, and the inability to convince the Tuareg that belonging to the Malian state is in their interests. Now, more recently, with ample arms, vehicles, and skilled fighters, they have stunned the Malian army with their rapid conquests in the north. At the moment of this writing, they are on the verge of even taking Kidal and Timbuktu. Again, they are mostly separatists, but not monolithically so. The MNLA wants to carve out an independent nation of Azawad, free from the Bamako-based Malian government, which it views as tyrannical and unresponsive to northern concerns. Another group, al-Qaeda in the Islamic Maghreb (AQIM) appears primarily concerned with operating its smuggling and kidnapping-for-ransom business. And it should be noted that the MNLA has stated that one of its goals is to defeat AQIM, which has severely damaged the Tuareg economy by virtually ending tourism in the region. The third major group, Ansar Dine seeks to establish northern Mali as an Islamic state based on shar’ia law, according to leader Iyad ag Ghali. His group has been purportedly backed by Saudi Wahhabis. Taken as a whole, the “northern insurgency” has overwhelmed the Malian government and thrown it into a crisis that threatens to deepen and spread beyond its borders. Back in Bamako the coup leaders saw a political opportunity in the run-up to the April 29 elections. While it is impossible at this stage to impute particular motives or intentions, we know of the military’s dissatisfactions as expressed by the newly formed National Committee for the Return of Democracy and the Restoration of the State (CNRDR). Furthermore, their stated and perceived intentions will be evolving in response to forces on the ground. Echoing the grievances of the women protesters, they state that they overthrew the government because of its “incompetence.” We’ve heard their rhetoric about defending democracy, fighting “terrorism,” restoring effective governance and such. And we’ve also been forced to contemplate the junta’s statements about returning to democracy once the country has been “unified” and “no longer threatened.” All of this is fairly familiar boilerplate reminiscent of African leaders, such as Mobutu and others who since the 1960s spoke of national unity while remaining clients of former colonial rulers or Cold War powers. In this light, U.S.-trained Capt. Amadou Sanogo, the head of the putschists, has neglected to count the presence of U.S. counter-terrorism forces, neoliberal economic policies or Franco-African neocolonial relationships as threats to “national unity” or “territorial integrity” alongside corruption, state paralysis and the northern insurgency. The US seems primed to conflate MNLA with AQIM. This is a major mistake and needs to be countered and avoided. The US needs to listen to the local people, the people they call partners, but do not listen to and do not consult except those that have been trained by the US and say what the US wants to hear. Mali is entering a season of food shortages, and Malians have reason to be dissatisfied with their democracy. … beyond environmental and agricultural vicissitudes, there is a widespread sense in Bamako that democracy has not been working for ordinary Malians. More educated urban-dwellers have grown impatient with the lack of economic opportunities, and the slow pace of improvements in education and the judicial system. Many have adopted jaded views of democratic institutions and commonly bemoan the corruption, nepotism, and patrimonialism associated with the Touré government. As one young migrant worker in Bamako said to me: “What is democracy? Democracy is about theft from the people. It is about SUVs hitting children on the road and never going to jail.” Or more broadly, as the Malian writer Moussa Konaté recently observed, it has meant the replacement of the military regime of Moussa Traoré by the mafia-like clique of ATT “for whom personal interests are above public interest.” Elections have become empty exercises and “parodies of democracy,” in which votes are purchased and governing elites are recycled. … To keep his hold on power, Capt. Sanogo has moved quickly to quiet the xenophobia and anti-Tuareg hysteria. In a recent interview, he stated that the “Tuareg people in the north, the Arab people, are our brothers,” while noting that the “door is open” for discussion and resolution of the crisis. This could be intended for a Western audience. But for his stated “total control” over the country to be fully realized he cannot risk Mali slipping further into chaos. Of course, whether or not the CNRDR stays true to its commitments to democratic institutions and sundry reforms of the state remains to be seen, and depends on whether or not a counter-offensive ever materializes, which at this point is appearing less likely. In the short-term, the coup leaders will seek to clamp down on looting and prove their ability to govern. If not, expect a quick and furious civilian backlash. Tolerance and cooperation are central values in Malian society, and indeed the mostly bloodless nature of this coup is remarkable. But when their sense of “moral economy,” that is to say their popular notions of justice and fairness at a time of dearth, is threatened, Malians have proven themselves more than capable of mobilizing against tyranny and conditions that they deem intolerable, as seen in 1991. And, in the end, it will be for Malians to decide what they’re willing to tolerate. For outsiders to blindly rally behind the word “democracy,” without acknowledging what it means in local contexts, or even how “politics” operate in rural and urban Malian settings, is a disavowal of the risks Malians are willing to take for a better future. Here is some current analysis of the coup in Mali. I’m including excerpts, but each of these articles is well worth a complete read. As the first military coup in 2012 taking place 21 years after the democratisation process in Mali, this is certainly a major test for the African Charter on Democracy, Elections and Governance in force since February 2012. There is also sufficient grounds for the regional organization Ecowas to firmly condemn the coup and insists on the return of a constitutional order. The statement by Ecowas, condemning the misguided actions of the mutineers and warning that it will not condone any recourse to violence as a means of seeking redress was a major step in the right direction. The next step was a decision by the African Union on the suspension of Mali from continental and regional institutions in line the policy of zero tolerance for any attempt to obtain or maintain power by unconstitutional means. It is about time military coups are eliminated from the political culture of the continent. The putschists may seek to consolidate their power; but they are isolated. Their attempts to secure the endorsement of senior religious and political figures and the senior officer corps have been rebuffed. The Bamako establishment is well aware of what is at stake, and what the country stands to lose if the overthrow of democracy is confirmed. Despite the mutineers’ complaints, there is a widespread recognition that the crisis cannot be resolved through military means alone. Some sort of understanding would have to be reached with the MNLA, which has begun to hint that it might be ready to talk. And a new president, with a fresh election mandate, would be better placed than Touré to embark on such a deal. This may be a best case scenario. There is, of course, also a worst-case option: that the mutineers reject negotiation opportunities, seek to hunt down Touré and then try to resolve the northern crisis through force alone. The consequences of that hardly bear thinking about. Yet, that a coup should have occurred so close to the April 29th elections, when Touré was due to step down, is highly significant. It has been suggested that the seizure of power in this way is indicative of a sentiment among sections of the military, and their supporters in civilian society, who believe that politicians are unable to competently resolve the rebellion in the North. If true, then there is more reason to be concerned for Mali in the long-term. That politicians are unable to competently resolve the rebellion or any other problems is a major part of the message sent by AFRICOM’s train and equip. It may or may not be intentional, but if you only invest in the military you are only preparing for military solutions. These other articles are worth reading as well. It does look more likely the coup was spontaneous, and there are some positive developments. West African leaders may call for the speaker of Mali’s parliament to become interim president following last week’s military coup, Burkina Faso’s foreign minister has told RFI. The Ecowas regional bloc is to send a delegation of six heads of state to the country to press for a return to constitutional order and elections. As part of a “transition in keeping with constitution”, the delegation is considering proposing that national assembly speaker Dioncounda Traoré become president temporarily, Burkinabé foreign minister Djibril Bassolé said in an interview with RFI’s Christophe Boisbouvier. That would mean deposed leader Amadou Toumani Touré bow out until elections are held. Thousands of people marched in support of the coup in Bamako on Wednesday, some carrying placards declaring “Down with France” or “Down with the international community”. Meanwhile, 38 political parties and several civil society groups have set up an alliance to oppose the coup, calling on the military to “engage in dialogue without delay” and organise “regular, credible and transparent elections”. The military government on Tuesday announced a new constitution that bans its members from standing in elections. There are mixed signs. Even the supporters of the coup oppose outside interference, but that won’t stop the outside from interfering. 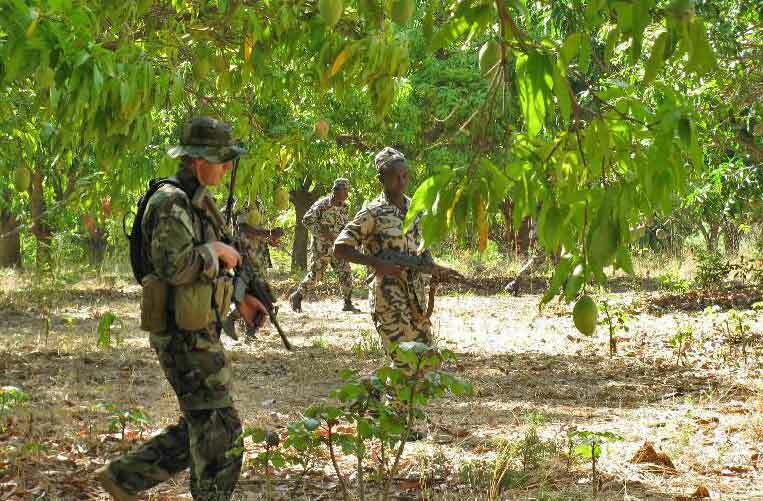 The coup in Mali arises partly from the blowback following the NATO destruction of Libya, part of the counter revolution against the Arab Spring, and from the train and equip activities AFRICOM has been conducting in Mali for much of this century. Train and equip laid the groundwork; the return from the ruins of Libya of militant and well armed Tuareg rebels provided the trigger. I wrote about the AFRICOM threat to Malian democracy back in 2009, US Policy Versus Democracy In Mali. The picture below is just one piece of the ongoing train and equip activities. There are a couple more pictures at the end of this post. Read the earlier post for more detail. When your only significant investment in a country is military train and equip, you are prepping that country for military government. The green-beret mid-ranking captain, [Captain Amadou Sanogo] who speaks with a raspy voice, also revealed he had spent much time at training programmes in the United States, in Georgia and at the Marine Corps base in Quantico, Virginia. Sanogo, who said he had received “training from U.S. Marines and intelligence”, said, he would not remain in power but refused to give a timeframe for restoring civilian rule. Mali and the United States have had close military ties in recent years as part of American counterterrorism programs. According to the State Department, Captain Sanogo attended an English-language instructor course at the Defense Language Institute, a special school for international military students at Lackland Air Force Base, Tex., from August 2004 to February 2005. Nearly three years later, in December 2007, Captain Sanogo returned to the United States, this time for more English language classes at Lackland before attending the Army’s entry-level course for intelligence officers at Fort Huachuca, Ariz., instruction that he completed in July 2008. Finally, Captain Sanogo attended the Army’s prestigious infantry officer basic training course at Fort Benning, Ga., from August 2010 to December 2010. Stars and Stripes gives us more detail on the ongoing train and equip activities with Mali, Leader of Mali coup received officer training from AFRICOM, under U.S.-funded International Military Education and Training (IMET) programs, confirmed by the Africa Command and the State Department. 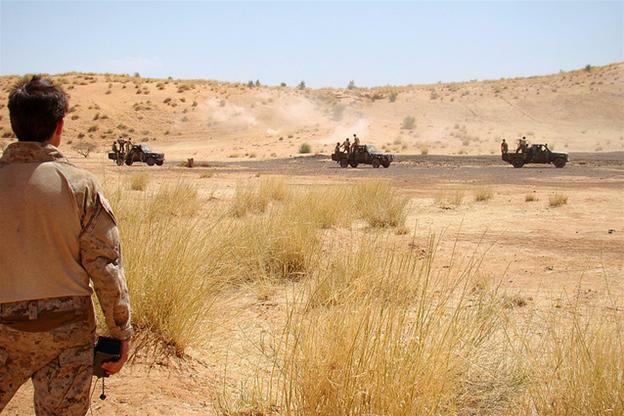 The U.S. military has supported the Mali military extensively over the past decade, and the country has become a significant partner in the U.S. efforts to curb North Africa’s shadowy al-Qaida affiliate, al-Qaida in the Islamic Maghreb, or AQIM. 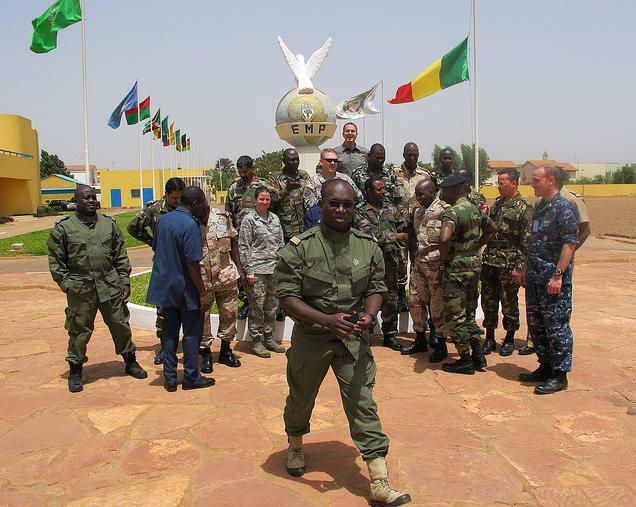 In addition to its involvement in the International Military Education and Training program, Mali has also participated in the Trans Sahara Counter Terrorism Partnership, which is intended to strengthen bilateral military ties with the U.S. and supports counterterrorism coordination across the region’s different militaries. 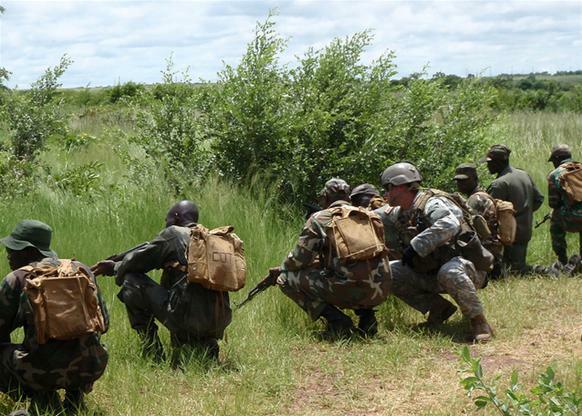 Mali also recently hosted U.S. soldiers in a joint logistical exercise named Atlas Accord 12. “We have regularly had small teams traveling in and out of Mali to conduct specific training that has been requested by the Malian government and military,” said Nicole Dalrymple, a spokeswoman for the Africa Command, known as Africom, in an emailed response to questions. The coup is a major setback for Mali, a landlocked nation of 15.4 million which is dirt-poor but fiercely proud of its democratic credentials. The current president, a former parachutist in the army, came to power himself in a 1991 coup. He surprised the world when he handed power to civilians, becoming known as “The Soldier of Democracy.” A decade later, he won the 2002 election and was re-elected in 2007. There was never any question that Toure — known by his initials ATT — would step down at the end of his term next month. State Department spokeswoman Victoria Nuland said officials were meeting to discuss whether to cut off the $137 million in annual U.S. assistance..
A client military government seems to be the US preferred form of governance for African countries. It will be interesting to see how the US proceeds. 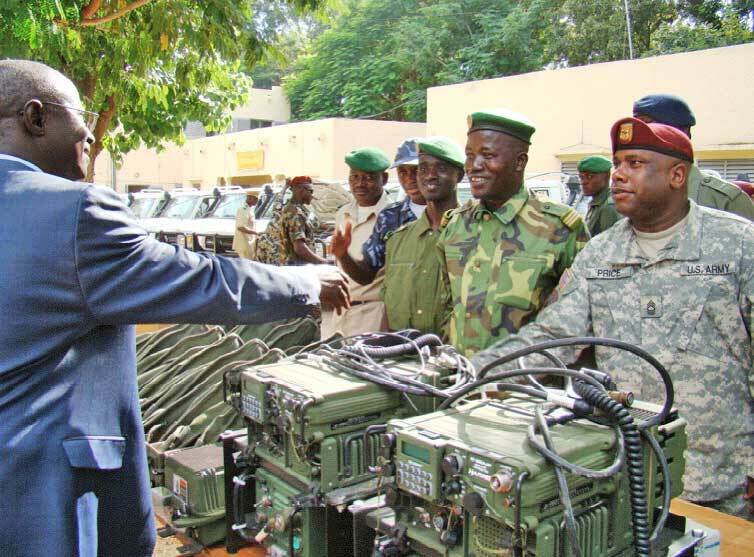 Stable and secure in AFRICOM speak does not mean stable and secure for the people of Africa. It means stable and secure for US energy and resource needs and US policy objectives. AFRICOM was created for two main reasons, oil and China. I have documented where US officials have stated this at numerous places in this blog. For a more detailed discussion see Understanding AFRICOM: A Contextual Reading of Empire’s New Combatant Command Part I, Part II and Part III. Kwesi Pratt, editor of the Insight newspaper in Ghana, was one of the few people who caught on to this very early. His question to President Bush regarding oil and Africa was rudely dismissed by Bush. In this century the West intends on taking 3 Cs out of Africa: Crude, China, and Capital. Uganda People’s Defense Forces and U.S. 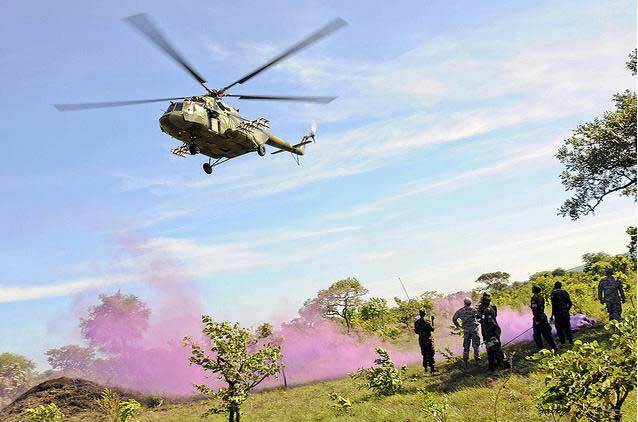 Soldiers wait for supplies to be dropped from a Ugandan Air Force Mi-17 helicopter during Atlas Drop 11 at Drop Zone White near Olilim, northern Uganda, April 18, 2011. The US military was active in Northern Uganda and bordering countries long before President Obama announced he was sending Special Operations forces there in October 2011. AFRICOM and SOCOM (US Special Operations Command) plan to be there long after Kony and the LRA are a distant memory. The LRA has been a scourge on Uganda for more than 20 years. When Uganda discovered oil prospects, the US became interested in the LRA. The military option to defeat Kony has been explored numerous times in the past, notably Operation North (1991), Operation Iron Fist (2002) and Operation Lightning Thunder (2008-2009). Each failed and led to massive reprisals against civilians. The Acholi religious leaders, representing the regions and people who have suffered most from Kony and the LRA, point out that the only times things have gotten better is when there have been talks and negotiations. Kony has no known political affiliations, he just likes war and terrorizing. Humanitarian rationalizations have always been the cloak of legitimacy for the ruthless extraction of African resources. We should recognize this by now. Kony and the LRA operate across the borders in the territories of several countries that are of particular interest to the United States (partial lists of their resources in parentheses) South Sudan (oil, land, water, China) the DRC – Congo (oil, coltan, tin, tungsten, copper, gold, water, timber, China etc.) Uganda (oil, China, source of proxy soldiers, water, land, etc.) Burundi (uranium, rare earth, diamonds, cobalt, copper, land, water) CAR – Central African Republic (diamonds, uranium, timber, gold, oil). So Kony and the LRA are a very handy target indeed. It would be excellent for everyone if Kony and the LRA are put out of business. IF (big IF) the US military can put Kony out of business, on its own, that would be a blessing. That is not the real reason the US is there, and the US will not be leaving when Kony is gone. Museveni used protection from the LRA as a tool against the Acholi and other people of Northern Uganda, some call his methods genocide, they were certainly brutal and pervasive. It was not entirely inconvenient for him to have the LRA in business. The same is true for the United States. Kony and the LRA are very convenient, putting the US military exactly where they want to be. Kony is a handy cover for the real reasons for US interest in the region, which are all about African resources. Soldiers of the 5th Brigade, 75th Division, California Army Reserve, stand in formation with soldiers from Rwanda and Uganda during exercise Natural Fire 11 in Zanzibar, Tanzania.